When Michael Cohen publicly testified about Donald Trump’s crimes last week, Palmer Report explained that it wasn’t merely a one-off stab at Trump. Instead, Cohen’s testimony broke down the doors that Trump had been hiding his criminal enterprise behind, and allowed everyone – including the media, the public, and prosecutors – to see what was on the other side. Sure enough, New York State just seized on it. New York State just revealed a criminal investigation into Donald Trump’s history of insurance fraud, and it’s going about it in a novel way. 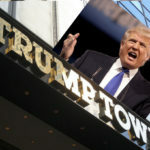 Instead of trying to get the incriminating records by subpoenaing the Trump Organization, which might not work, New York is instead subpoenaing the Trump Organization’s longtime insurance broker. The broker is surely willing to cooperate in order to remain in good standing with the state. Not surprisingly, Michael Cohen is mentioned four different times in today’s New York Times article revealing the insurance fraud investigation. Cohen publicly accused Trump of multiple specific instances of insurance fraud during his testimony, and that’s given New York State a legal basis for pursuing it. New York State may not be able to indict or arrest Donald Trump while he’s in office (the Feds at SDNY have a better shot at pulling that off), the state can hit Trump with massive financial penalties for insurance fraud right now. And if Trump is too broke to pay those fines, the state can begin seizing his assets accordingly. This is far from the only instance in which Michael Cohen’s testimony has opened the door for prosecutors to target what’s on the other side. Several of this week’s House Judiciary Committee document requests appear to have been based on names that Cohen dropped during his testimony. In the end it won’t matter so much whether the public believes Cohen. Instead it’s about what his testimony has quickly led to.